Can we all just take a moment to appreciate how great of an album Howlin' is...yeah... it's pretty great. Australian psychedelic/dance band Jagwar Ma made their way onto our radar a long time ago. It was hard to not instantly fall in love with their incredibly unique sound and infectiously catchy vocals. Their debut album included "Come Save Me" "The Throw" and "Uncertainty", tracks that have been some of our favorites for a while now. Put simply, we can't get enough of these guys. We also recently had the pleasure of getting in a few words with Gabriel Winterfield of Jagwar Ma. 1. How did it all happen? 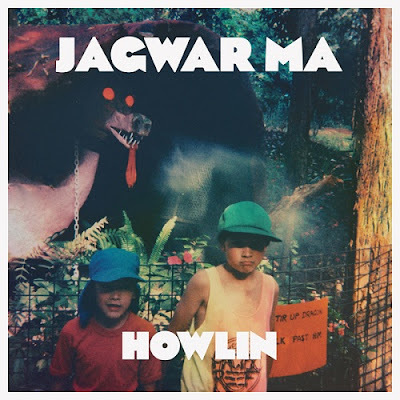 What brought Jagwar Ma together ? 2. What's your favorite food ? 3. What inspired you to get into music? I grew up with music in my house, I find it hard to imagine a world without it. I started learning the violin when I was 4 and it resonated with me deeply, but I soon moved into playing other instruments and discovering guitar and I always liked singing whenever I could. 4. Top 5 songs ? In all the millions of songs I couldn't possibly reduce my taste to 5 songs. but I will put down five tracks I think deserve to be on a list of sorts. 5. What's your favorite horror movie ? 6. Where would you say your greatest influences have come from in regards to your "sound"? Working on our next album. 8. What's the wildest experience you've ever had while on tour? 9. Anything else you like to shout out to your fans? Thank you ! None of this would be possible without you, and when we can we will definitely come play for you. peace and love always.